CEIVA Energy’s ‘Homeview’ is an in-home display with a difference – as well as enabling utilities to display real-time information from smart meters about home energy usage, alerts and conservation messaging, it doubles up as a digital photo frame that shows consumers’ personal photos. Prepaid Energy Hub caught up with Jack McKee, Vice President Marketing, and Wannie Park, VP Utility Solutions, at the 6th Smart Energy UK & Europe Summit in London to find out more about CEIVA Energy’s home energy management solutions. 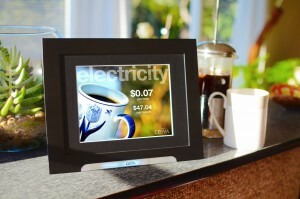 Q: Combining an energy monitor with a photo frame is a novel idea. What’s the thinking behind it? A: We don’t want to put something in someone’s home that they’re going to end up throwing in the kitchen cupboard. We figure that with this product, since it has personal pictures on it, it’s going to be something you want to keep on your kitchen counter-top. If you want people to engage with their energy information, why not put it into a device that’s going to actually be part of their lives? Q: The screen size is larger than some energy monitors. What advantages does that have? A: From a form factor perspective, part of the value of this device is that, whatever the message is that we’re trying to display – whether it’s energy information, energy tips, or conservation messages – we want it to be easily glanceable. With small devices that have just a numeric display, information’s hard to digest. The way that we create things is that in three seconds you can consume a piece of data and know exactly what’s happening. Q: As Homeview is a multi-functional device, how do you balance displaying energy information and notifications with showing users’ personal images? A: The frequency with which the real-time energy information comes up in the slide-show of personal photos is controlled by the utility, whether that’s every 15 seconds or 90 seconds. 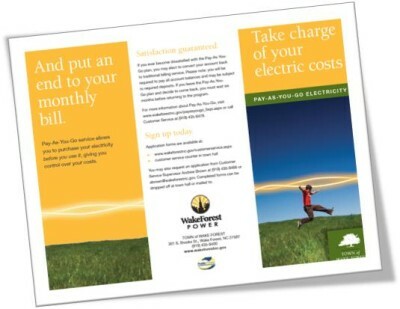 Utilities can also add an extra channel with conservation messaging. Our expertise is in working with utilities to deliver the information and messaging the way they want it, but balancing the need for consumers to have a product that they’re going to use. There’s always a fine line. If you put too much energy information in their face, they’ll start to back off, but if you put just the right amount, they’ll engage with it. Q: How can the Homeview display benefit prepayment customers? 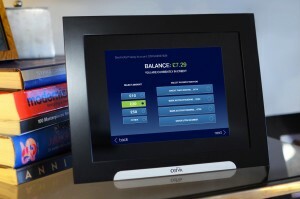 A: Since the display connects directly to the smart meters and Wi-Fi network, it allows customers to view their prepay balances in real time and top up their accounts directly from their homes. Users can go into the menu of the display and see where they stand and how many days they have until the next top-up is needed. When they want to top up, they can select an amount and the account from which they want to pay, and then see their new balance. So there are no more mayday trips down to the store with a USB to do a top-up – you can do it directly from the display inside your home. Q: Is the customer engagement driven just by the in-home display? 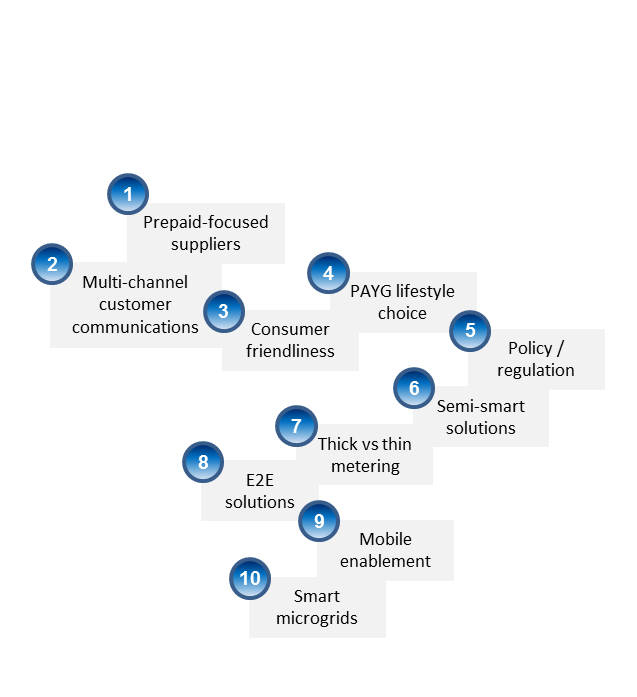 A: Our customer engagement solution for utilities goes beyond the display. We also bring customers information on mobile phones, tablets and through a web-based portal. We’re pretty much agnostic in terms of where people access the data – we just want to make sure that they see it, whether it’s on the frame, a mobile phone, a tablet or a portal. We have a lot of software that we also market to utilities that ties all the different systems together. As long as we’re helping drive the experience, it’s a really good business model for us. Another way that we’re making the display a more engaging product is by leveraging its gateway capabilities to connect to your thermostat, smart plugs and other devices. So if my wife leaves the house without turning the heat off, I can connect remotely and turn it off and save myself five dollars from running the heater all day. It’s a nice, cleverly disguised device. Q: Where have your Homeview monitors been deployed so far? A: Our deployments have mainly been North America, so the US and Canada, thus far. We have deployments with several different utilities, both through our partnership with Itron as well as with other meter providers such as Silver Spring Networks, Landis+Gyr and Elster. Some of our customers include National Grid in the Northeast United States, Glendale Water Power in California and Guelph Hydro in Canada. In terms of the energy devices, we’re close to 20,000 or so deployed so far. Q: Do you sell your displays directly to consumers as well as to utilities? A: We do a little bit of both. Since the US is mainly a regulated market, with just some states deregulated, primarily we work with the utility to deploy the displays in people’s homes. In places like Texas ,which is a deregulated market, we can go directly to consumers. They can buy the product, provision the device to the meter through a centralised portal or a hub, and use it like a normal consumer product. It’s actually a good way to get the monitors into the market. Q: What makes CEIVA Energy different? A: There’s so much engineering behind the scenes disguised in the nice, visual display that’s going to separate us from the pack. In addition, our partnerships with the meter vendors, our industry-leading security features and our proven customer engagement are all factors that are driving strong and growing utility interest. Q: Lastly, do you see an opportunity for your products in the UK, where in-home displays are mandated in the smart meter roll-out? A: We’re definitely looking at the UK. We’ve been meeting some of the energy suppliers there, and our goal is to figure out if there’s an opportunity for us to deploy some of our products, based on the mandates. We’ve been seeing a lot of early activity in terms of pilots and so we want to get involved as much as possible, as we’ve done a lot in the US and we can take some of those learnings there.